We communicate with our clients by email all the time. Email correspondence is the rule, not the exception, for lawyers and clients these days. We email back and forth about policies, practices, investigations, terminations, leaves, complaints, contracts, union activity, and all the other employment-related issues that we deal with. Sometimes these emails contain highly sensitive information about the employer or employee. Sometimes we discuss legal strategy. Most of the time, information we communicate electronically is information we would never want to share with employees, opposing counsel, or the general public. Thank goodness for attorney-client privilege, right? 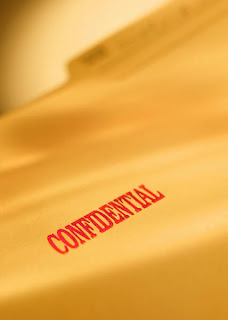 Communications – electronic, paper, or oral – between lawyers and their clients generally stay confidential. They don’t have to be disclosed to anyone, and can’t be used as evidence in court. That’s a very important protection, so it drives us crazy when clients put it in jeopardy by using email carelessly. The fact that interoffice emails discuss legal issues does not necessarily make them privileged. Communications generally have to be to or from a lawyer to gain that protection. Email discussions among company employees about legal strategy, or about legal advice from counsel, may not be protected if improperly shared. An email from lawyer to client may lose its privileged status if it’s forwarded to a third party who isn’t part of the circle of privilege. It’s also important to remember that privilege exists between a company and its attorney, not between individual employees and the company attorney. If an employee uses a personal email account to communicate with the company attorney, it may be more difficult to protect that email as privileged. These concerns affect all types of electronic communication, so texts need to be handled carefully too. ü Don’t forward communication from your lawyer to anyone. ü Don’t pass on or discuss legal advice . ü Don’t allow anyone (like an assistant) access to your email if you are communicating with counsel about privileged matters.